Hamish Harwood on his way to the 2013 MXD title. Image: Simon Makker/Makkreative.com. CMR Red Bull KTM’s Hamish Harwood is targeting an MX2 seat for the 2014 Monster Energy MX Nationals, Australian Motocross Championship. The 18-year-old Kiwi clinched the MXD championship last weekend at Coolum, now hoping he can land support to step up a category next season. 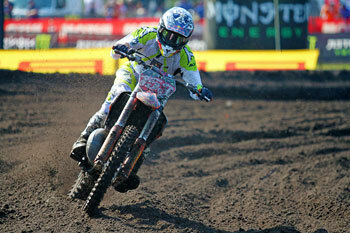 “Plans for next year we’re not too sure yet,” Harwood told MotoOnline.com.au. “We’re just waiting on deals or teams to see if there are any rides for next year – hopefully I can come back and ride MX2. Last year’s MXD title was won by former CMR Red Bull KTM rider Kayne Lamont, who went on to finish eighth in the MX2 series as part of the KTM-supported Choice Motorsports team in 2013. Here is the Race Recap interview with Harwood from MotoOnline.com.au. 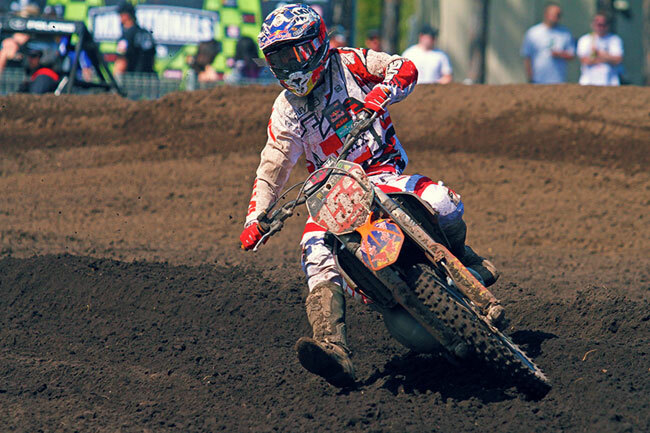 CMR Red Bull KTM's latest MXD champion speaks about his 2013 title assault. CMR Red Bull KTM has forged a habit of sending over talented young New Zealanders to contest the MXD category of the Monster Energy MX Nationals, as Hamish Harwood wrapped up the team’s second title in succession. 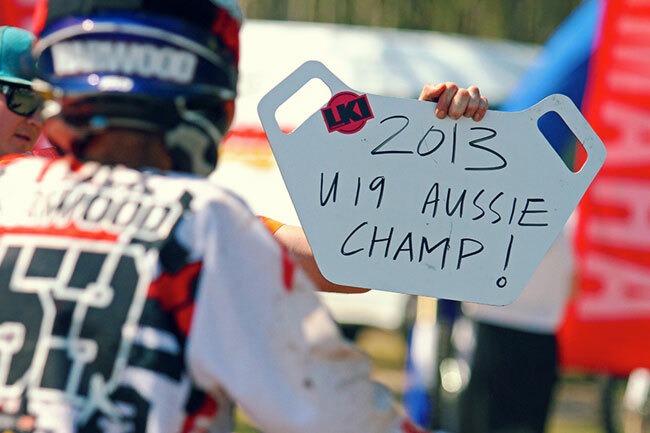 Harwood is a quietly-spoken kid who goes about his business in the most professional of ways, and it was clear come Sunday afternoon at Coolum that the 2013 Under 19s title meant a lot to him and his close fleet of supporters. MotoOnline.com.au spoke to Harwood before the podium celebrations at Coolum to recap his season that was. Kiwi Hamish Harwood on his way to the 2013 MXD title. Image: Simon makker/Makkreative.com. Well done on wrapping up the MXD title. It’s been a very successful year for you, so it must be a great feeling to achieve the championship win. Yeah, thanks it’s been a long year. I came into the season injured, built every week and knew I just had to stay on the podium all year to win this championship. As far as this weekend goes at Coolum, were you nervous coming in? I wasn’t so much nervous until I was on the line. I knew I had to get one good moto down and then I’d get the championship, but everything still goes through your mind like ‘what if this or that happens’. I got a pretty bad start in moto one, but come through the pack and ended up getting the championship so I was rapt. It was your first year in Australia, so what were your thoughts on the series and do you have plans for next year yet? Plans for next year we’re not too sure yet. We’re just waiting on deals or teams to see if there are any rides for next year – hopefully I can come back and ride MX2. I quite like the Aussie tracks, I like the formats that they do and yeah, I’m definitely looking forward to 2014. Harwood and his CMR Red Bull KTM team celebrate the title. Image: Simon makker/Makkreative.com. What was the highlight of the season for you? I’d say clinching the title is obviously the highlight, but apart from that the round at Swan Hill was well needed and it was good to have that set me up for the championship. Well congratulations mate, well done!